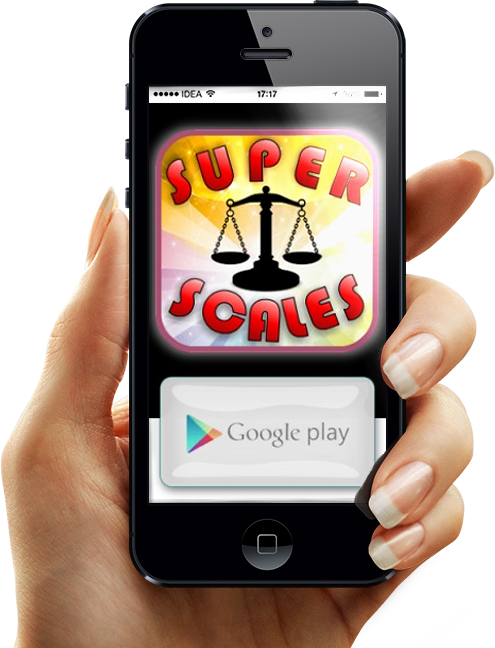 The best digital scales app for Android! Try our featured app for free! 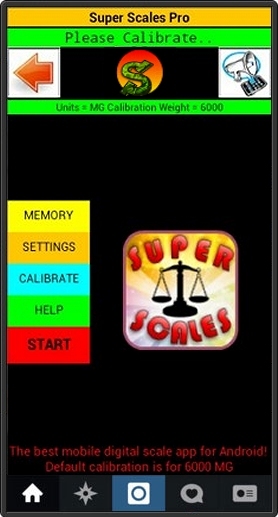 Super Scales is the best accurate digital scales app for Android. It works by using your phones tilt sensors. Once calibrated it is very accurate if used as demonstratedin the tutorial video. The free lite version can not be calibrated. To get accurate results just upgrade to the pro version. You can also change Units of weight in pro version. 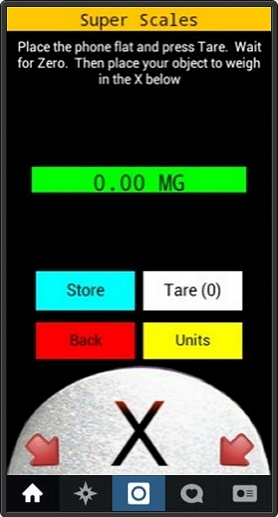 As accurate as real digital scales if calibrated and used properly with the phone balanced well. 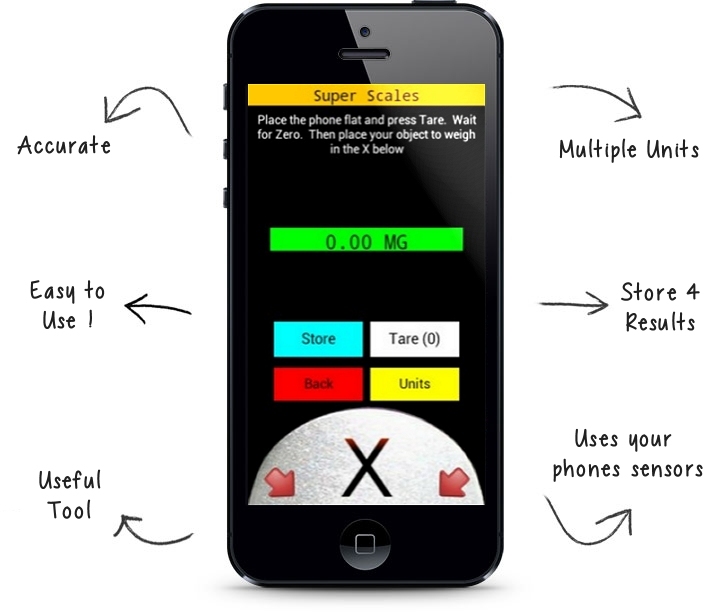 You can change which sensors are used and also set the sensitivity of the scales. You can set the units of the weighings too. In the help section you can view two video demonstrations showing how to use the app and some tips. 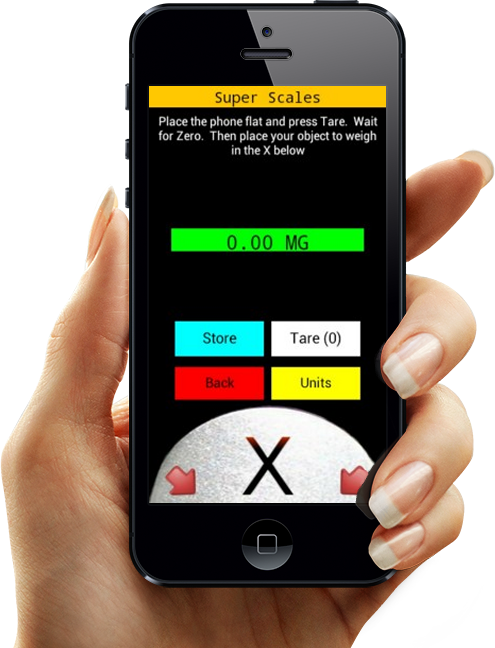 With Super Scales you dont need any external third party devices or gadgets. 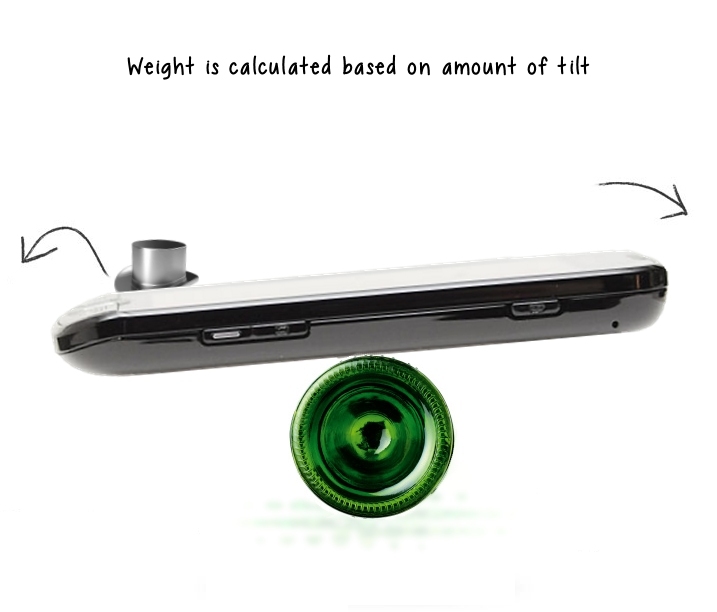 Just a android phone with calibrated sensors. 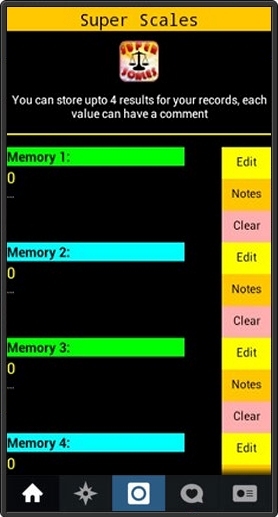 Interesting app I use this but I don't face any problem at all. I prefer this most. Nice graphics and addicted looking. Dont really need any other equipment or device to use "Super Scales Lite"
I found it hard to use, but I copied the video, but balance phone on my mouse. I then got some results that worked. Thanks for the video!